2019 will be for First Corporation and for all the companies of the group a particularly interesting year for the participation to several international events; here is the program: the company Plasticos First Iberica will take part in the Climatización Y Refrigeración exhibition, Madrid, from February, 26th to March, 1st (Hall 10 – Stand 10C06). 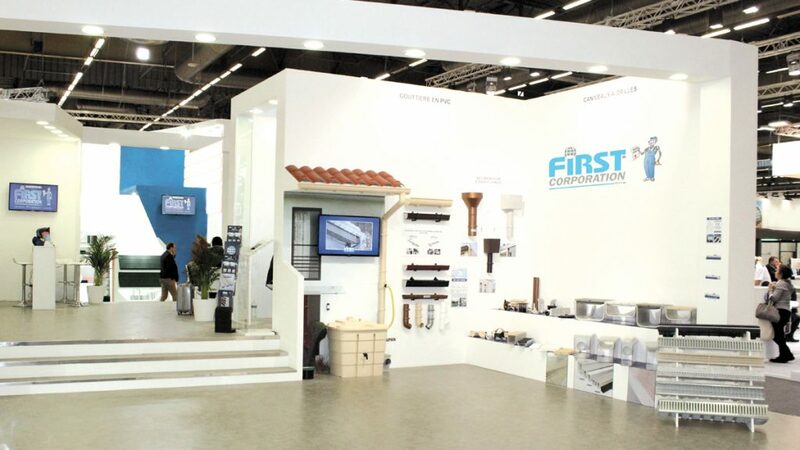 First Corporation will present at the ISH Trade show, an excellent showcase in plumbing and heating sector, Frankfurt, from March,11th to March, 15th (Hall 5.1-C40). First Corporation together with the company First Plast France, will then participate to Batimat and Interclima exhibitions, both in Paris-Villepinte, from November, 4th to November, 8th. There will be many opportunities to visit our stands and to appreciate the novelties of the 2019 product. We are really waiting for you!